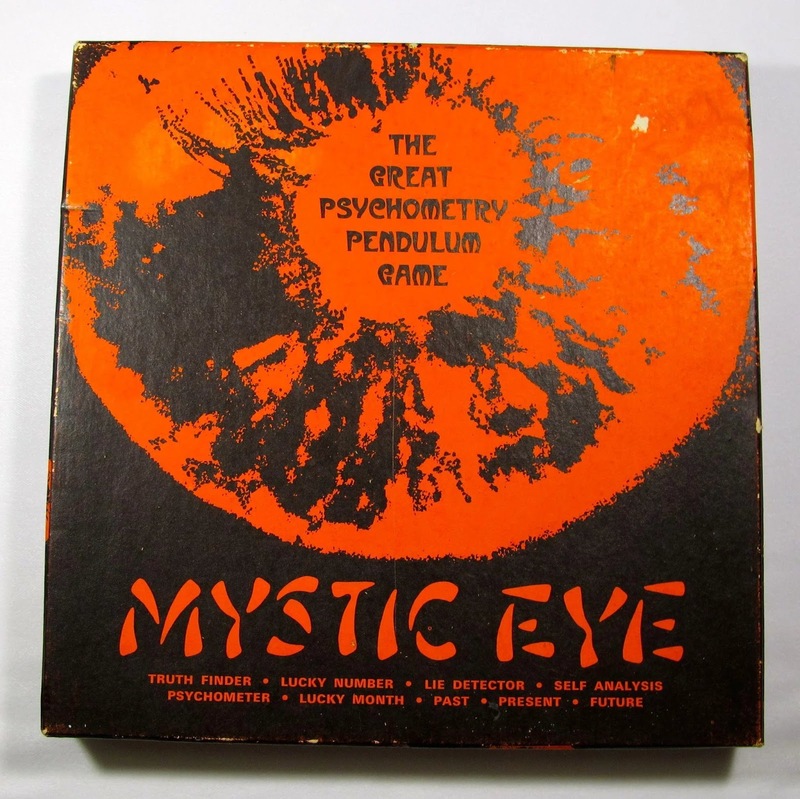 Killer Characters: Big doings at the Mystic Eye! Big doings at the Mystic Eye! Hi everyone ~ I'm Gale, Gale Hymson. The owner of the Mystic Eye occult bookstore in North Beach. I'm very excited this year because I'm trying something new for the shop this season. We, my manager Cheryl and I, are hosting an open house on Halloween. Everyone's invited. I've advertised our event all over the place -- in the Chronicle, the local North Beach news, on radio spots and social media too. 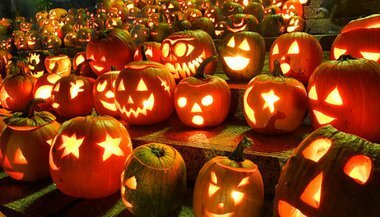 We're planning food and treats and drinks (non-alcoholic of course), great decorations, spooky music and dry ice, and special psychic and Tarot readings for our guests. It's free and open to everyone and I hope everyone comes in in costume. Should be wonderful fun! We're starting at four p.m. so it's the perfect time to start your celebration early, especially if you plan on another party later in the evening. And best of all -- Nikolai will be our special guest. 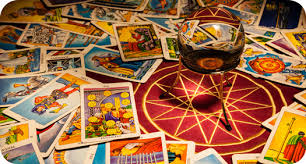 He will definitely draw a big crowd, he's so famous in the Bay Area now with his TV show exorcising demons and doing past-life regression hypnosis. The thing is . . . he wants to do a special presentation, but he won't tell me what it is. Makes me a little nervous because Nikolai can be a little outré as you probably already know. But . . . I'm sure he'll be fine. Come on down to Columbus and Broadway and join us on this very special night when the veil between the worlds is lifted. Let's just hope Nikolai doesn't want to raise any demons! See you there! 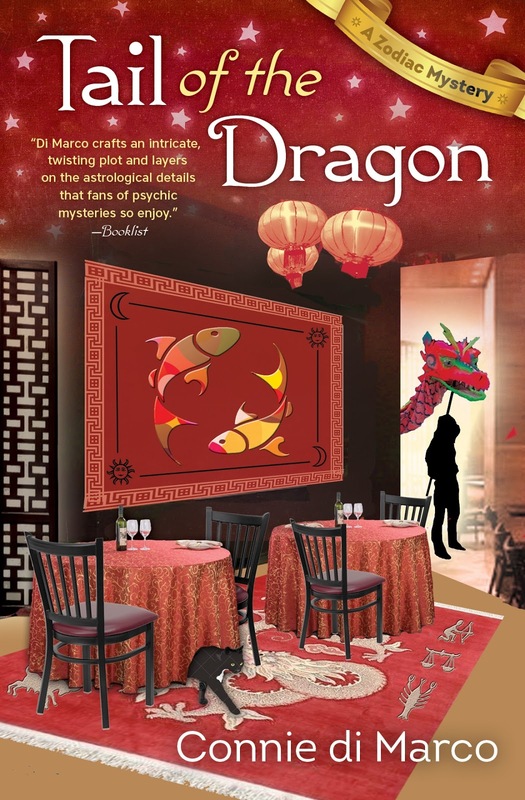 If you'd like to know more about how our party turns out, catch up with the Zodiac Mysteries, and especially Tail of the Dragon! Or visit our author, Connie di Marco at her website, at Facebook or Twitter @AskZodia.